Gilbros have been provided specialist cleaning services to a spectrum of businesses, organisations and private clients throughout Cambridgeshire, Bedfordshire and Hertfordshire. Our Highly trained staff use state-of-the-art machines and equipment to offer the complete cleaning package. Below is a selection of the services we offer. If you’re looking for a particular service that isn’t listed on our website, simply contact us and discover how we can tackle most cleaning issues. Restore your driveways back to their former glory with our 200 bar/ 3000 psi jet washing. Remove unwanted weeds, stain and moss with our jet washing patio cleaning service. Protect your conservatory from becoming unsightly and leaking with our conservatory cleaning. Restore your tennis court removing unwanted moss, algae and dirt with our treatment service. 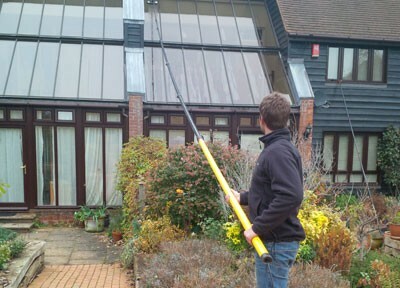 Unblock restricted gutters with our professional gutter cleaning service. Our moss Treatment is an effective solution for removing moss, mould and algae whilst protecting against regrowth. Gain maximum return on your investment by keeping your solar panels in good working order.